As modern citizens, we have all dealt with the stresses and woes associated with drain clogs. From your home to your business and everywhere in between, every structure will eventually face a clog in one location or another. When this occurs, many people reach for the plunger. If the plunger is not enough, it is recommended to seek help from your local plumber. 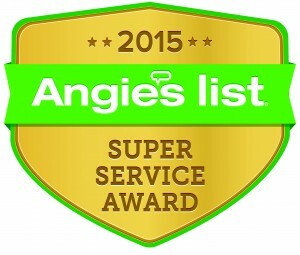 Action Jackson Plumbing is proud to provide unbeatable plumbing services to Edwards, Seattle, and beyond. Our plumbing company strives to offer no-nonsense services, delivering results in an efficient fashion to get your life back on track as soon as possible. We offer a wide range of tasks to get the job done, from simple sewer inspections to comprehensive plumbing repairs. Today, we’ll look more into hydro jetting and its steadfast benefits over other drain-clearing methods. If you are looking for assistance with a drained clog, be sure to contact us for assistance! 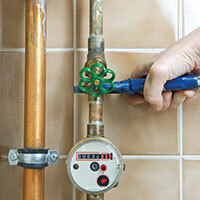 Numerous materials can congregate along the interior walls of your plumbing. From grease to dirt, soap, mineral deposits and more, gunk tends to build up and cover every inch of the pipe. While snakes and rooters are effective or dislodging clogs, they are very inneffective at cleaning the full bore of your plumbing. Any buildups in sludge that helped to cause the clog in the first place will be left unaffected, creating future problems for homeowners. The high-pressure nature of hydro jetting ensures that the walls are scoured clean, leaving unobstructed surfaces that will perform beautiful for a much longer period. Hydro jetting is an effective method for power washing your plumbing, yet the versatility behind this tool is the key to its success. While rooting for an issue is limited in reach and effectiveness, the nature of high water pressure enables our quality tool to reach further and do more. Owners of larger properties can breathe easy knowing that our plumbing contractors utilize the best gear in the industry! The nature of plumbing, especially when it comes to clog-busting products found on store shelves, is inherently linked to hazardous chemicals. While our experienced plumbers know how to safely and effectively treat your plumbing, the risk of environmental contamination is ever-present. Hydro jetting, however, utilizes water at extremely high pressures to get the job done – no chemicals, no contaminants. The result is a clean plumbing system that should require less maintenance, doubly helping both you and the environment. 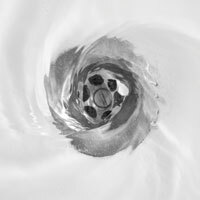 The bacteria lurking in your plumbing can represent a source of irritation for all that utilize the plumbing in your home or business. The smooth surfaces of your pipes make it impossible for bacteria to grow, yet continual buildup and user neglect can lead to a civilization of bacterial agents. Hydro jetting works to effectively push out these living contaminants, creating a smooth surface and saving you from headaches down the road. Anyone that is dealing with a foul odor seeping up from their sewer lines can benefit from washing away all of the bacteria and grime found there. Clearing out your sewer system via hydro jetting is one effective method of attaining peace of mind when it comes to preventing future plumbing emergencies. Next time, we’ll discuss a few more benefits of this handy task, as well as the long-term bonuses that come with regular plumbing care. 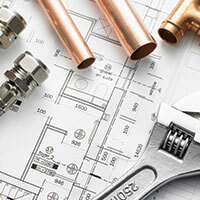 Action Jackson is your team for the best plumbing services in Edwards and along the Pacific Northwest. Our family-owned plumbing company is available 24/7 to help you in case an emergency arises. Each service is done with integrity, quality, and efficiency. Our plumbing contractors will arrive on time to get the job done, treating your home and its inhabitants with respect every step of the way. Contact us today to learn more about our business or to schedule your inspection!